GB/T4354-2008 Used to make steel nail, mechanical spare parts. 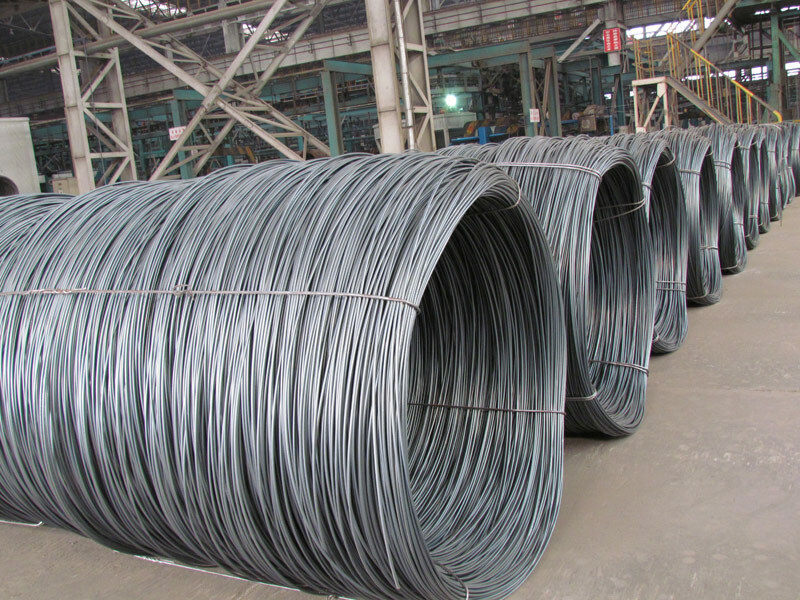 The high carbon steel wire coil is used to make steel wire rope for different usage, spring steel wire, steel core Al strands, galvanized steel wire, galvanized steel strands, prestressing steel wire 热轧Hot Rolled About 2000Kg or for high speed wire coil, The maximum diameter is ∮12.5. A1 series is made from 120t converter with refining outside stove and protective casting. 1、Pure steel quality, stable chemical contents, small tolerance. 2、Constant Quality, good drawing performance. 3、High dimension accuracy degree, accuracy degree of Level C up to 80%, smooth surface, less scale, easy to be pickled. 5、Big high quality percentage, small coil percentage, and heavy coil weight for Hard Coil.